We were delighted to receive this award at the Halifax Courier Business Awards in 2018. 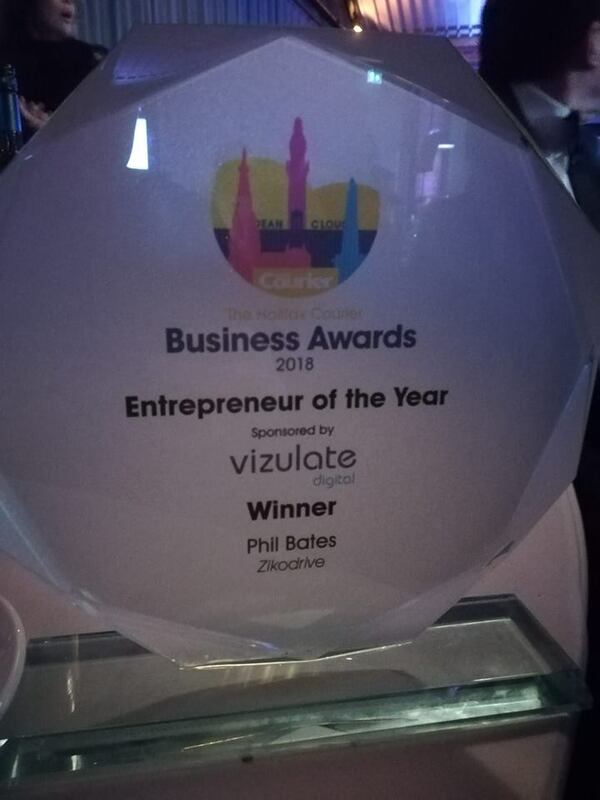 As one of the co-founders Phil takes care of more or less everything non-design based and has put in a huge amount of work building the company up, carrying out business development, developing the website and e-commerce platform and liaising directly with customers. A key factor in the award was also the fact that the company has relatively recently started to try and be much more pro-active in the local community. The 5% donation to the Watermark Fund is a good example of this. The event itself was a fantastic showcase of the best businesses (of all types) in the local area. Special thanks to Vizulate Digital who sponsored the award! 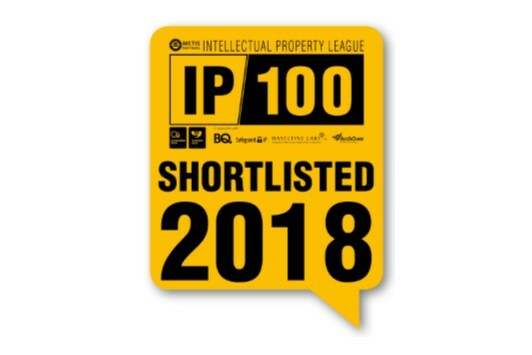 We were delighted to once again be shortlisted in the IP100 Intellectual Property League organised by Metis Partners. The league is intended to promote the importance of intellectual property and the management thereof to businesses in the UK. We were therefore delighted to be shortlisted in the 2018 rankings as a company which makes good use of intellectual property and manages it carefully in a way which helps improve our service and capability. 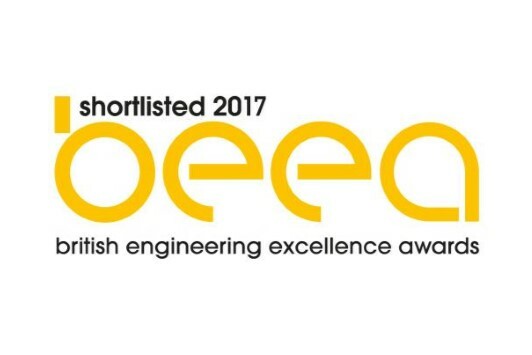 Graham Fick was nominated for the Design Engineer of the Year Award 2017 at the British Engineering Excellence Awards (BEEA) in London. Graham had a busy year, working hard on new designs for both the Zikodrive range and privately for a number of clients. It was for his success in this ongoing work that Graham was appointed. As expected at such a prestigious ceremony, the competition was tough as several large global companies had subscribers. Graham left disappointed not to have won but still proud to have made the preselection at all. 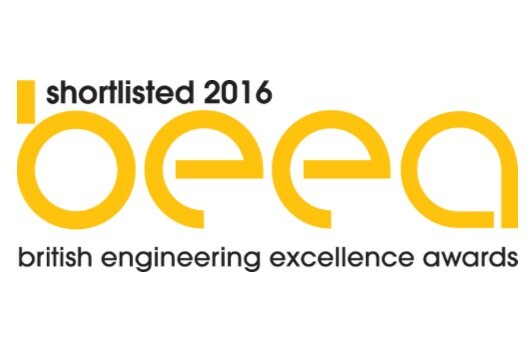 Graham Fick was shortlisted for the 2017 Design Engineer of the Year Award at the British Engineering Excellence Awards (BEEAs) in London. Graham has had a busy year working hard on new designs both for the Zikodrive stock range and also privately for a range of customers. It was for his success in this ongoing work that Graham was nominated. As expected at such a prestigious ceremony, the competition was fierce with several major global companies having entrants. Graham left disappointed not to have won but nonetheless proud to have made the shortlist in the first place. 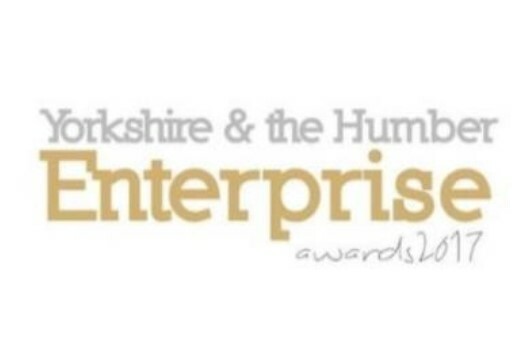 We were delighted to pick up the very competitive ‘Best Bespoke Electronic Design Company’ award at the 2017 Yorkshire and the Humber Enterprise Awards. It was a competitive field at this year’s event and we were pleased to top the group and claim the win. We picked up the award for the bespoke electronic design work we undertook for three UK and European companies throughout early 2017. The first project involved customising a pre-existing stock driver to deliver more power. The second project focused on developing a brand new board for an actuator project (currently protected by NDA). The third was quite a simple project to develop a plugin board for the ZDBL15A 15A Sensorless Brushless Motor Controller. This allows the user to quickly dose based on number of revolutions rather than timing. 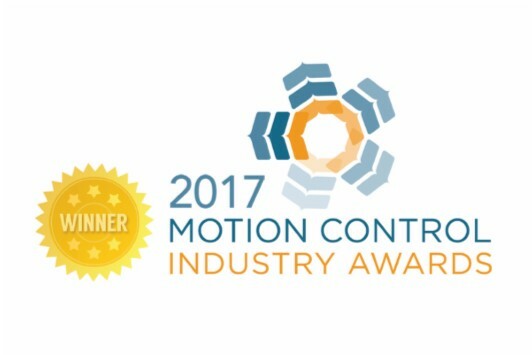 Graham Fick was awarded the 2017 Engineer of the Year Award for his work developing and marketing the ZDBL range of sensorless brushless motor controllers. The result followed on from his shortlisting the year before and was a proud moment for Graham himself as well as the company as a whole. 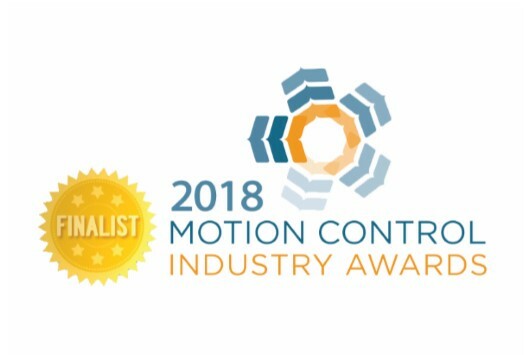 The ceremony is one of the most prestigious and important in the motion control industry and is held annually at the NEC in Birmingham, attracting some of the biggest names in the European motion control industry. You can read more in the Drives and Controls Magazine coverage of the event by clicking this link. In 2016, we were shortlisted for Startup Company of the Year at the British Engineering Excellence Awards. To even be shortlisted at such an event was a privilege, especially given the quality of the finalists. A good evening was had by all at the Royal Artillery Club in London and we are proud to have been shortlisted alongside some of the countries most exciting and groundbreaking companies. 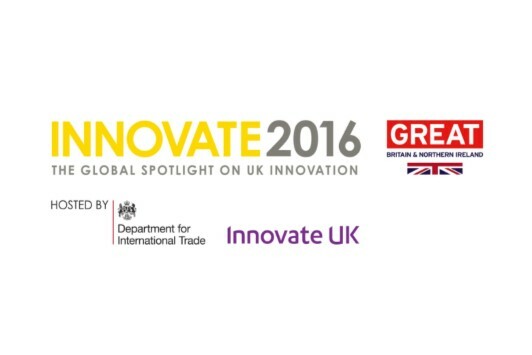 We were delighted to be selected as one of the companies to exhibit at Innovate 2016. The Innovate Exhibition is a showcase event organised by the UKTI and Innovate to highlight the most exciting new developments in UK industry. Whilst not an award in itself, it was nonetheless considered a significant achievement by the company and was a fantastic opportunity to showcase the company and what we do. 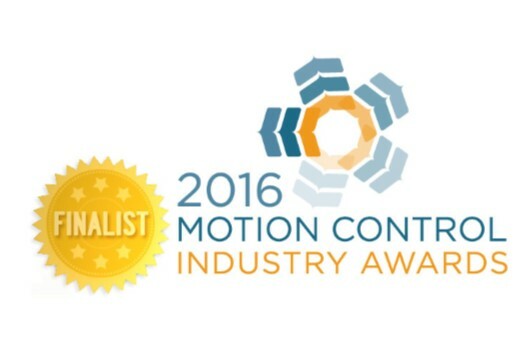 Engineering Director Graham Fick was shortlisted at the 2016 MCI Awards for his extensive work developing the initial ZDS and ZDSP lines for Zikodrive. Judges praised his technical expertise and commercial application. However Graham fell short at the final hurdle with the award going to a young engineer from Bosch. Despite this the company was still proud of Graham for making the shortlist and the event itself was thoroughly enjoyed by all.